We’d love your help. Let us know what’s wrong with this preview of The Path of the Spiritual Sun by Belsebuub. Many thousands of years ago, ancient seers understood this--revering the sun as the highest symbol of divine consciousness, and its light the spiritual source of creation. Its major stages at the solstices and equinoxes became the dominant alignment of sacred sites all over the world, as well as central events in the lives of many spiritual figures. Today, these ancient remains can still be decoded to reveal their message of spiritual enlightenment. However, over time, strife and persecution took its toll, and after a while it was lost--left in scattered fragments that echo a bygone era of great spiritual knowledge. The Path of the Spiritual Sun aims to restore this lost knowledge--exploring the sites, symbols, and sacred texts connected to the ancient spirituality of the sun--and provide celebrations and ceremonies to re-enliven its transformative practice once more. To ask other readers questions about The Path of the Spiritual Sun, please sign up. "Indiana Jones" meets the Solstices & Equinox! This book is not fiction, yet page after page, it just feels like I'm on the trail of a hidden mystery, like a treasure hunt - it connects the dots about the purpose of humanity, why we are here, and how in ancient times peoples all around the world were much more in-tune with the purpose of life and were connected by a religion of the sun (though not a worship of the sun). From listing many ancient sites in the world who are dedicated to the Sol "Indiana Jones" meets the Solstices & Equinox! This book is not fiction, yet page after page, it just feels like I'm on the trail of a hidden mystery, like a treasure hunt - it connects the dots about the purpose of humanity, why we are here, and how in ancient times peoples all around the world were much more in-tune with the purpose of life and were connected by a religion of the sun (though not a worship of the sun). 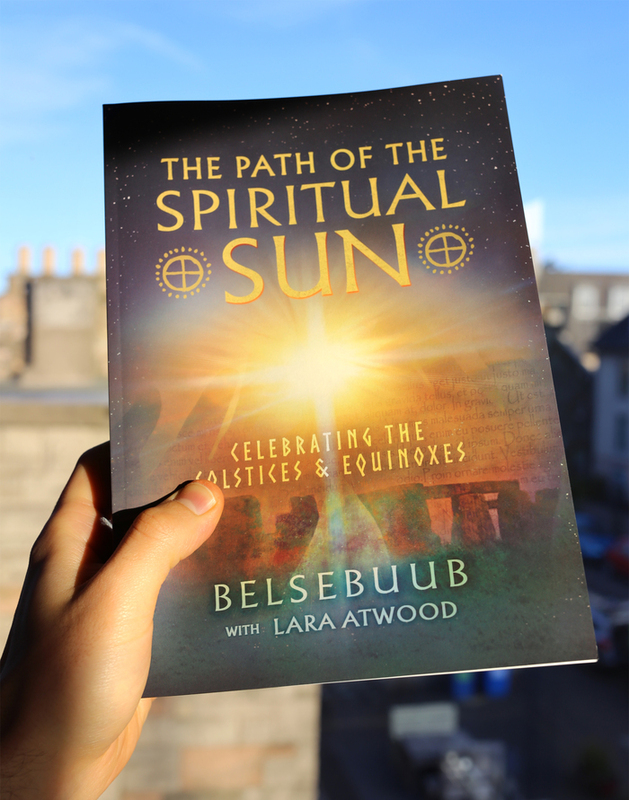 From listing many ancient sites in the world who are dedicated to the Solstice & Equinoxes, Belsebuub explains many different spiritual texts and passages and how they relate to the Solstices and Equinox, unveiling important common symbology which had lost its meanings over times.. His co-author Lara Atwood talks about it being like a Rosetta Stone to decipher the ancient religion of the Sun which exists previously, and I agree - it all makes sense, the logic, the facts and the multiple sites all around the world are encoding a deep and meaningful message, and this book decodes it fully, in very clear and straight forward fashion. The Path of the Spiritual Sun is easy to read and very much captivating. Hard to put down, yet I also felt like at times, I needed to reflect on what I had just read. The passage of the ancient scriptures are mesmerizing and so meaningful as I know understand what the ancient sages of their time (e.g. Hindu, Hermetic, ancient Egyptians, and so forth) meant, when before reading this book, a lot of the writings left me in awe but without a clear understanding to their context. I definitely recommend it to anyone and at any level - it reads really well, is packed with information and I believe will help many people have more understanding with each other - as clearly unfolding from this book is the understanding that among all cultures of the world, there is a common spiritual connection that at times past united people in reverence at the four points of the year. I was recently visiting an exhibition on ancient Egypt but despite some of the objects I personally found it to be a bit dull and it didn't do much for me.... Why? I wondered. I realised it was because that deeper—magical—more interesting—more accurate understanding was missing. Something I did get from this book. It's just one of the many (seriously many) things that I got out of this book. You know everyone, or at least some people :-), have this wonder about ancient Egypt, or our Earth's unkno I was recently visiting an exhibition on ancient Egypt but despite some of the objects I personally found it to be a bit dull and it didn't do much for me.... Why? I wondered. I realised it was because that deeper—magical—more interesting—more accurate understanding was missing. It's just one of the many (seriously many) things that I got out of this book. You know everyone, or at least some people :-), have this wonder about ancient Egypt, or our Earth's unknown spiritual history for example, feeling there's more to it, something magical. Something that even the latest scientific methods and scanning equipment do not grasp, an understanding of things that we in the modern age have lost touch with. And then you've got this book: The Path of the Spiritual Sun. It's written from a different perspective than you would normally expect books on this topic. There's a great deal of wonderful research contained in this book, but the main understanding to tie it all together comes from the author's own spiritual understanding. It's therefore unique. You can read some descriptions of the book elsewhere to know exactly what's in it, furthermore I don't feel I can do it justice very well. But I can say that I recommend it wholeheartedly. For anyone who has a spiritual connection to nature and an interest in enlightenment, this book is for you. It's a beautiful and mind-opening read, revealing how the structure of the seasonal year itself contains clues and lessons about the process of awakening. The Path of the Spiritual Sun ties together seemingly disparate aspects of spirituality, with the calm confidence of someone who is speaking from their own inner experience and wisdom. I found this book totally fascinating and uplifting, For anyone who has a spiritual connection to nature and an interest in enlightenment, this book is for you. It's a beautiful and mind-opening read, revealing how the structure of the seasonal year itself contains clues and lessons about the process of awakening. The Path of the Spiritual Sun ties together seemingly disparate aspects of spirituality, with the calm confidence of someone who is speaking from their own inner experience and wisdom. I found this book totally fascinating and uplifting, with that feeling that 'ahhh, of course, this makes so much sense'. It speaks to your heart. It draws on examples of religious practice from around the world, with quotes and images from the world's ancient religions, and shows how they are all in fact one and the same story - that of the process of awakening. The chapter on the Lost Civilization of the Sun offers a new vision of history, one where our collective ancestors held a great spiritual wisdom rather that us being at the pinnacle of evolution now. A large amount of evidence is brought forth to support this claim, that many will have trouble believing as its turns history on its head - from myths to archaeological evidence, to the folklore and DNA maps of some cultures. It also evidences how sun-worship is far from the simple practice of an agriculture-dependent people, but a profound understanding of the esoteric meaning of the sun and its seeming movements through the sky. The solstices and equinoxes are the key points in this cycle - being transition points for the 'journey' of the sun symbolise specific points of the stages of enlightenment - i.e. the summer solstice is the ascension, the autumn equinox the initiate's decent into the underworld (the subconscious), the winter solstice/Christmas is symbolic of a spiritual force being born within, and the spring equinox is the triumph of light over darkness. I’m reading this book, thinking how much our humanity is in need of a message like this, to put our lives into their spiritual context. We live along, trained in pursuing jobs, pleasures, adventures. We think we know it all. And yet for many people there is something missing in their lives. This book gives the information about a profound adventure within that had been lost in obscurity until now. The book goes through sacred sites, religions, traditions straight into their core message, before it was dissolved and lost in the course of time. It brings to light the spirituality of the sun (the spiritual Son) and its universal principles written into the fabric of space, reflected into the divine geometry and solar alignments of sacred sites all throughout the earth, spoken about in indigenous tribes’ oral traditions, recorded in sacred christian, taoist, egyptian, mayan etc. texts, and lived out by people who connect their lives with the spiritual. Connecting the dots between different traditions and sacred sites, Belsebuub and Lara describe the spiritual significance of the solstices and equinoxes and explain how anyone interested can connect to those universal spiritual principles today through celebrating them and by bringing about a more conscious way of being into their daily life following means that people throughout the ages have emulated for their spiritual ascent. The book has been really easy and enjoyable to read. I did have to make myself to pause here and there just to reflect and meditate on the content. It’s a big book! The topic is vast, just as its importance. A lot of beautiful imagery and really a monumental research into different cultures, spiritual traditions and sacred sites. What a unique book. I don't think any scholar out there has this deep and comprehensive understanding about all the different sacred sites around the world and how they are connected. It reminds me of Graham Hancock's groundbreaking work on the same topics but it goes deeper than that into the spiritual mysteries of the various sites and what it all means. It reads easily and is not at all dry and scholarly or overly complicated or swamped in footnotes. What's best about the book is that the aut What a unique book. I don't think any scholar out there has this deep and comprehensive understanding about all the different sacred sites around the world and how they are connected. It reminds me of Graham Hancock's groundbreaking work on the same topics but it goes deeper than that into the spiritual mysteries of the various sites and what it all means. It reads easily and is not at all dry and scholarly or overly complicated or swamped in footnotes. What's best about the book is that the author gives clear instructions on how you can conduct your own ceremonies to celebrate the Solstices and Equinoxes according to your own capacity, making it as elaborate or as simple as you wish. They are beautiful and incorporate singing, music, symbols, special clothing... This is not a book to just read, it is to try it out! It has greatly enriched my spiritual life to attempt to celebrate the different Solstices and Equinoxes, be it at the sunset or sunrise, they are all different and all magical. Every time I feel like I am deeply connected to nature and the order of all things and it is very moving, and I learn new things. Blown away. There is no book or author that can be compared to this incredible resource of ancient sacred history or can come close to the amount of information and insight available in the Path of the Spiritual Sun. This book not only connects the pieces of ancient cultures, sites and spiritual traditions found around the world, but it explains and unravels the mysteries that have baffled so many for hundreds of years. Why were ancient sites like the Pyramids of Egypt, Stonehenge, Easter Island Blown away. There is no book or author that can be compared to this incredible resource of ancient sacred history or can come close to the amount of information and insight available in the Path of the Spiritual Sun. This book not only connects the pieces of ancient cultures, sites and spiritual traditions found around the world, but it explains and unravels the mysteries that have baffled so many for hundreds of years. Why were ancient sites like the Pyramids of Egypt, Stonehenge, Easter Island, Machu Picchu, Göbekli Tepe, Chaco Canyon and so many others built? Who built them? Why are thousands aligned to the sun on the solstices and equinoxes, or to celestial bodies and constellations like Orion, Sirius and many others. Many of them are even aligned to each other as though purposefully built by one lost or forgotten civilization who held onto the same advanced technological and spiritual knowledge for their construction. This book goes into the symbolic meanings of ancient megalithic structures and temples as well as the spiritual teachings that were connected to them, the wisdom bringers that existed, the lost spiritual civilization that made sure they were constructed, and the shared universal messages of spirituality and awakening that most ancient sites have in common – ingrained into the architecture of the sites. I love this book. I always go to it at the approach of a solstice or equinox, to prepare and be inspired, and to learn. There is so much to learn and reflect upon, and I always feel changed simply by reading the words. It's as though they have love and strength behind them. This is truly an amazing book for anyone interested in ancient sacred sites, lost civilizations and those who want to reconnect with nature and the cosmos through simple and beautiful ceremonies! Today, my wife and I celebrated the spring equinox and used this book to help us tune into the spiritual meaning of it. We adjusted the ceremony described in the book to fit our situation. Early in the morning we drove to a secluded spot, placed several symbols in a small circle, and greeted the rising s This is truly an amazing book for anyone interested in ancient sacred sites, lost civilizations and those who want to reconnect with nature and the cosmos through simple and beautiful ceremonies! Today, my wife and I celebrated the spring equinox and used this book to help us tune into the spiritual meaning of it. We adjusted the ceremony described in the book to fit our situation. Early in the morning we drove to a secluded spot, placed several symbols in a small circle, and greeted the rising sun with mantras and readings from the book. The atmosphere was generally quiet and nature had this vibrancy to it. Chanting the mantras also helped to silence my inner world. While I enjoyed the full ceremony, I especially liked the readings. Knowing that they are thousands of years old and give reference to what is happening at this time of the year, made them special. I'm glad to have been able to tap into the moment and strengthen my connection with nature and spirituality with the help of this book. I dip into The Path of the Spiritual Sun each solstice and equinox. The meaning that solstices and equinoxes had to peoples of the past (based on sacred sites, ancient religions and myths from around the world) as well as the significance of these periods to people today is very clearly explained. The book is written with practice in mind. For each solstice/equinox the meaning as well as the list of sacred sites are described in a way so as to assist an individual’s efforts to tune into the even I dip into The Path of the Spiritual Sun each solstice and equinox. The meaning that solstices and equinoxes had to peoples of the past (based on sacred sites, ancient religions and myths from around the world) as well as the significance of these periods to people today is very clearly explained. The book is written with practice in mind. For each solstice/equinox the meaning as well as the list of sacred sites are described in a way so as to assist an individual’s efforts to tune into the event. This is what I appreciate so much about the book because I can get a better picture of what some of the most advanced religious civilizations of the past did on those days, and can easily access relevant sacred texts for each occasion. The rites and ceremonies described in the book I have found nowhere else. For each solstice and equinox the authors have come up with a specific play that incorporates readings from ancient texts, actors with masks, a bonfire, and songs. Each play is based on the meaning of the solstice/equinox and is a completely new way to understand the significance of the event to ancient peoples. I was really awestruck by the way the authors weaved in so many sources, especially Native American accounts, to piece together the bigger picture of how this humanity came to be, why the hundreds of sacred sites around the world are so significant even today, and how the solstices and equinoxes can still have a place in our modern world. What an impressive piece of work. This book is jam-packed with interesting information and facts about ancient sacred sites, their use, and their meaning. It was amazing to follow along and try out the various ceremonies and celebrations with friends at those special solstice and equinox times of the year. This book is so illuminating! The clarity with which it approaches and reveals the secrets of ancient sacred sites, the history of the ancient solar religion and worship, and its deeper purpose, is something I've never seen before. This book is an excellent read and beautiful too. It's very much like a journey that takes you across the world, connecting the pieces of our ancient past, some we know like Stone Henge and some that we don't know so well, that have been bound up by so much speculation and misunderstanding. But this book unearths their spiritual meaning and significance and establishes their purpose that has been lost over time. I won't ruin it for you by going too much into it but I highly recommend it, it will i This book is an excellent read and beautiful too. I won't ruin it for you by going too much into it but I highly recommend it, it will inspire you to want to look into your own heritage and ancient ancestry and perhaps it even may shed light upon things that seem very familiar too you or drawn to but didn't know why, like it did for me. 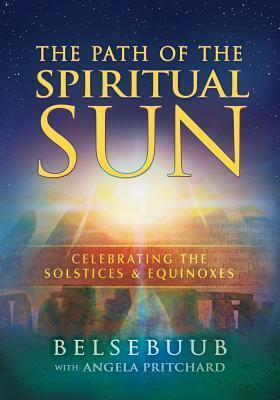 This book also gave me a deeper understanding of the solstices and equinoxes, and now I love celebrating them, and seeking out their meaning and purpose as each one unfolds from one to the other. The authors have done such an amazing work! As I read and re-read it I just wonder at how they were able to piece together so much valuable information in this very easy to understand and enjoyable way. The incredible source of spiritual insights and understanding was breathtaking to learn about, it sparked in me a deeper yearning to experience the significance and appreciation of these times of the year relative to my own life. There is a lot to learn from this book. Following the journey and achievements of the ancient people that built sacred sites around the world - some of them still standing - is fascinating. I was always wondering why there are so many striking similarities in ancient sacred sites and this book has answers based on factual research. Discovering the ancient religion of the sun and how people back then were celebrating the solstices and equinoxes is quite amazing. This is a book I've wanted to read my whole life as it answers many questions that needed answering. It is thoroughly enjoyable and highly recommended. The Path of the Spiritual Sun is easy to read and very much captivating. Hard to put down, yet I also felt like at times, I needed to reflect on what I had just read. The passage of the ancient scriptures are mesmerizing and so meaningful as I know understand what the ancient sages of their time meant, when before reading this book, a lot of the writings left me in awe but without a clear understanding to their context. Nowhere have I ever come across a book like this. Ancient wisdom from around the world, encoded in sacred sites and texts, brought together and explained in simple terms. Excellently researched and composed. Just amazing. It's quite awesome to reflect on how universal this solar spirituality is when you study it. Hundreds (if not thousands) of ancient sites, from the pyramids at Giza, to the moai statues on Easter Island, all incorporating the solstices and equinoxes. Not to mention the same prin Nowhere have I ever come across a book like this. Ancient wisdom from around the world, encoded in sacred sites and texts, brought together and explained in simple terms. Excellently researched and composed. Just amazing. It's quite awesome to reflect on how universal this solar spirituality is when you study it. Hundreds (if not thousands) of ancient sites, from the pyramids at Giza, to the moai statues on Easter Island, all incorporating the solstices and equinoxes. Not to mention the same principles taught in major sacred texts everywhere. This book opened up to me a new way of seeing the Teachings. It connects the dots between ancients civilisation which they have in common the religion of the sun and people who wanting to follow the inner path towards enlightenment. A lot of the modern religions have many things in common or similarities but it looks like they lack the core message which was lost throughout the centuries. This book like un umbrella covers and unites those ages and civilisations and describes ceremonies which were This book opened up to me a new way of seeing the Teachings. It connects the dots between ancients civilisation which they have in common the religion of the sun and people who wanting to follow the inner path towards enlightenment. This book like un umbrella covers and unites those ages and civilisations and describes ceremonies which were lost. Putting these ceremonies into practice I saw a great potential which make them differ from any intellectual or religious ceremonies I have participated before. And what it says in the preface is very true that it is not an encyclopaedic style compendium of research on the celebration of the sun, that would be a much bigger book and would serve little real purpose in terms of practical understanding, and would also be very boring! I would prefer to be a coloured edition with hard cover but I understand that would raise the cost of it and I really appreciate they chose this edition so to be more accessible to more people. I had read the ebook edition before but this one is updated and has extra fascinated content. I'm regularly coming back to check from season to season what it writes about the current one and when I'm getting into synchronicity with the movement of the Sun this book speaks to me even more. Even on a smaller scale, this of a day time has also something to say. For every sunrise and sunset, every mid-day. Reading now the "The ancient religion of the Sun" by Lara Atwood those feelings became stronger I had read the ebook edition before but this one is updated and has extra fascinated content. Reading now the "The ancient religion of the Sun" by Lara Atwood those feelings became stronger which I assume is because the connection of ancient civilizations I might carrying inside of me. I wouldn't say that I'm a pagan type of person, even I like being in nature and live close to it, but discovering what's the Sun and how can I reach closer to its spiritual aspect, fuels my reasons to live. Incredible! !...there is sooo much information that makes sense in this book. A great read indeed. Belsebuub (Mark Pritchard) is the author of numerous works on out-of-body experiences, inner change, the journey to enlightenment, and the ancient religion of the sun. For over twenty-five years Belsebuub has undertaken a journey to enlightenment, which he describes as a transformation of individual consciousness through which a person eventually reunites with their higher Being and returns to the Belsebuub (Mark Pritchard) is the author of numerous works on out-of-body experiences, inner change, the journey to enlightenment, and the ancient religion of the sun. For over twenty-five years Belsebuub has undertaken a journey to enlightenment, which he describes as a transformation of individual consciousness through which a person eventually reunites with their higher Being and returns to the divine source of creation. Belsebuub explains that this process of transformation can also be found in many spiritual teachings of the past. These teachings have common roots in an ancient religion that once spanned much of the globe, which he describes as a religion of the sun. This lost spirituality was taught by wisdom bringers who understood and venerated the sun as a symbol of divine consciousness and who saw in the structure of the visible universe a representation of the path to enlightenment. Belsebuub states that this knowledge was encoded within numerous megalithic structures containing solar and stellar alignments, such as the pyramids of Egypt and Mexico, the sacred mounds and stone circles of Britain and Ireland, and many other mysterious temples and ceremonial structures around the world. According to Belsebuub, the knowledge of the sun can also be found in numerous sacred texts, symbols, myths, and the life stories of spiritual figures around the world – such as Osiris, Tammuz, Hun Hunahpu, Dionysus, and Jesus – who each had significant life events timed with the solstices and equinoxes. Mark Pritchard was born in Britain in 1963. He had many supernatural encounters in his childhood, as well as psychic faculties. This is when he began his search into spirituality, but it became more intensive as a teenager. After reading numerous spiritual books, and attending various groups, including the talks of Krishnamurti, in 1990, Belsebuub states that he came across an esoteric school where he learned the essential techniques for spiritual awakening, which allowed him to begin walking the path to enlightenment. Belsebuub began to teach soon after, spending a decade giving in-person classes across the UK and Australia. In 2001 he wrote a series of courses on out-of-body experiences, self-discovery, and spiritual knowledge. These were first published online and eventually taught in cities around the world, becoming the most popular courses of their kind at the time and taken by over ninety thousand people in over one hundred countries. 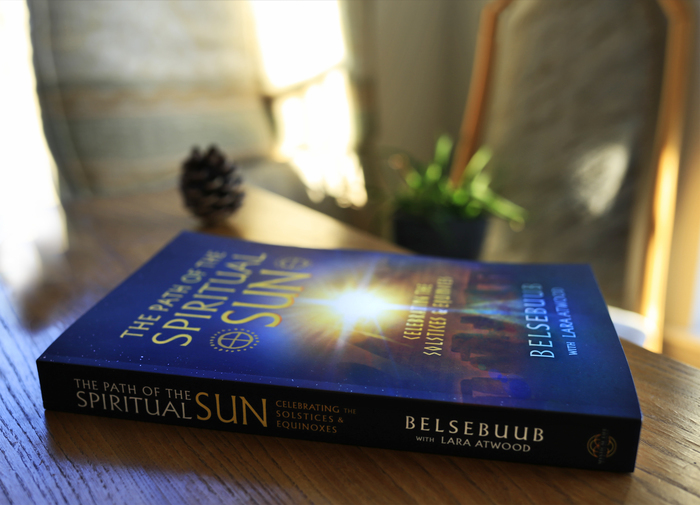 Through his books Belsebuub provides clear and practical insights into spirituality based on over two decades of personal mystical experience. Belsebuub’s books address a wide range of spiritual topics, including out-of-body and near-death experiences, the supernatural forces behind world events, self-knowledge, dreams, and ancient wisdom. His focus is on enabling each person to gain their own experience of spiritual realities, and to take their own journey back to their Being. In addition to his printed books, Belsebuub’s work is also published extensively on his website, www.belsebuub.com, in the form of articles, videos, and audio recordings. Belsebuub has always believed that spirituality is something shared freely from the universe and therefore should be passed on in the same way. For this reason he has never profited from his work. Today, Belsebuub’s work continues to be available free of charge on his website, and he does not receive any royalties from his books.